New Jersey Twin Photographer - NJ family photographer | maternity and newborn photography in Philadelphia, Cherry Hill, Moorestown, Cinnaminson, and NY. Why do newborns tug at my heat? Why is every thing about a baby music to my ears from there coos to there cries. Newborn babies seem to always put a smile on my face.Then you put multiple Newborn babies in the mix and it's even better. I have the cutest by and girl twin photo session at the clients house a few days ago.. These two are just perfect together. These twin newborn babies are 7 weeks old and just way to adorable. 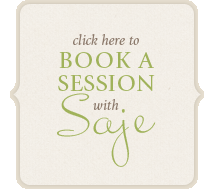 Are you looking for a newborn photographer in New Jersey Saje Photography is located in Cherry Hill New Jersey area. If you have been thinking of booking a South Jersey newborn photography session now is the time to book.